What are the Top Gemstones That Relieve Stress? Mar. 13 Cancer Help, Healing Gemstone Jewelry Comments Off on What are the Top Gemstones That Relieve Stress? For many centuries, healing gemstones have been used to promote any number of situations – health, prosperity, power, and in this case, stress relief which will assist the body to heal. These wonderful healing gemstones can be worn as jewelry, carried in a medicine pouch, or admired as stand alone gems on any surface. Since stress relief in healing from cancer is a major component of the process, I’ve listed below the top 10 gemstones that can be helpful. 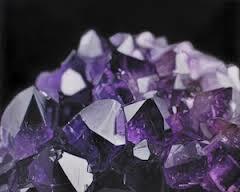 Amethyst (Master Healer) – is a natural stress reliever. Citrine – relieves stress related digestive problems. Clear quartz – clears energy blockages in the body to allow energy to flow through. Fluorite – can bring peace of mind and comes in different colors. Garnet – is associated with health and energy. Hematite (Anti-stress Stone) – for protection and grounding. Malachite – enables transformation, assists in clearing and cleansing all of the chakras. Rose quartz – for unconditional love, fosters empathy, reconciliation and forgiveness of others, lowering stress and the tension of the heart. Smokey quartz – for grounding and balancing. Turquoise (Master Healer) – helps to connect the mind to the infinite possibilities of the Universe. Whether you wear these gems, or carry them, or display them, they will work their magic. Besides, they are beautiful to behold.